It has been brought to our attention that many Rotarians are doing their end of year donation planning and that they would like more information about donating to the M-T Community Promenade project. As you know Rotary and Rotarians have been actively working on the Town Center and River Walk projects since 2002. As a capstone landmark for this area we have been active in the planning and now the fundraising for the Mequon-Thiensville Community Promenade on the north east corner of Mequon and Cedarburg Roads. 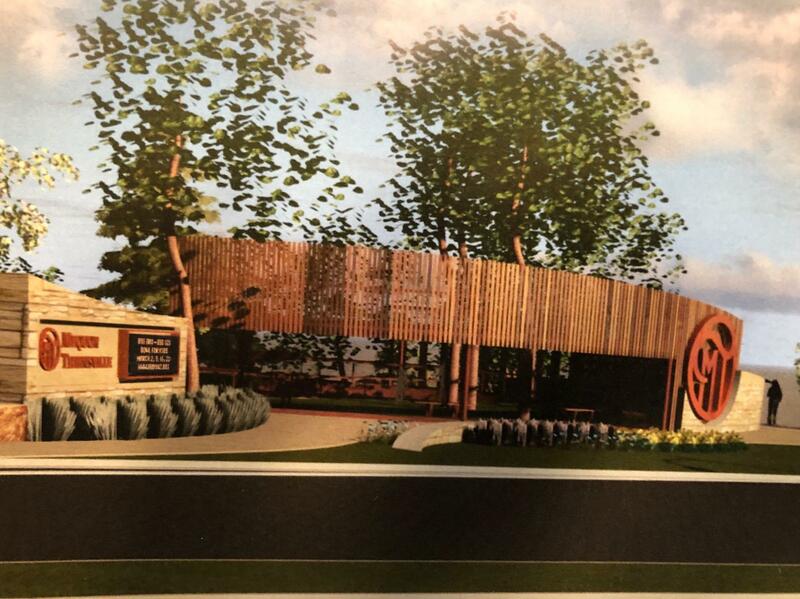 First, prospective donors should know that both municipal governments – Village Board for Thiensville and City Council for Mequon – have collaborated to get this new landmark designed through a Joint Gateway Committee appointed in August 2017. And, the Village and City have pledged as many tax dollars as elected officials feel they can toward its construction. Collectively, the Village and City have committed $200,000 toward the total cost of design and construction. We know private fund raising is not an appropriate function of municipal governments; therefore, we are personally and collectively committed to raising $500,000 in private contributions to meet the total projected cost of $700,000. As a club, we have donated $15,000 already with more to come after the Community Action Council meets in December. $30,000 remaining from the efforts for the River Walk have been transferred to this project. It is our expectation that more will come in the next two years. The City has indicated willingness to authorize a construction contract to build the Promenade as soon as 75% or $375,000 of the private funds needed are pledged or in the bank. Our Promenade Landmark Campaign Committee, composed totally of volunteers, has kicked off a quiet campaign to secure commitments for as many lead gifts as possible by January. We hope the Council will be able to issue that contract in February in preparation for construction in Spring 2019. We are working independently, without the services of a professional fund-raiser so that funds raised will be used for construction, not fund raising. Before asking others, Campaign Committee members pledged their own donations. Since then, we have secured four (4) lead gifts of $25,000 or more thus far, plus ten (10) commitments at other levels totaling private dollars raised of $211,400 to date Nov 10, 2018. More has come in since then, but we don’t have the latest figures. Donations of $500 and up will be recognized on the donor wall. Pledges can be made to spread out a donation over three years. If you have an employer that will match your donation, please help us make that contact. Tax deductible donations are to the T-M Rotary Foundation, note to Promenade. In the past, Rotarians have amazed us with their generosity, many pledging over three years. Our goal is to have donations from everyone in the club, no pressure on amounts, but eager participation. Please feel free to share this information with others who may be interested.